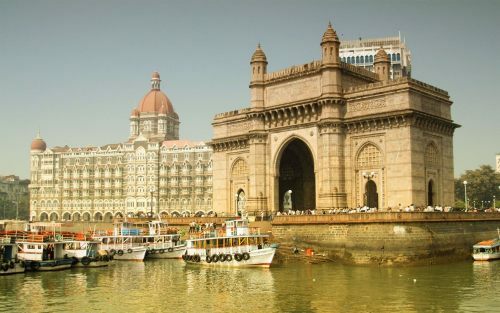 KLM and Air France are showing some pretty insane prices on flights from Vancouver to India right now. UPDATE: Nov 18 @ 8:06 AM PST - Prices appear to be back to normal this morning. Where to stay in Chennai, Mumbai, Bangalore, Delhi, or Dubai ? The following AirBNB links will lead you to some great deals on places to stay in Chennai, Mumbai, Bangalore, Delhi, or Dubai for $39 to $139 CAD/night for 2 people. vancouver, yvr, flight deals, klm, asia, dubai, dxb, united arab emirates, air france, mumbai, bombay, india, bom, chennai, maa, south asis, bangalore, blr, delhi, del, abu dhabi, auh, the middle east and persian gulf. 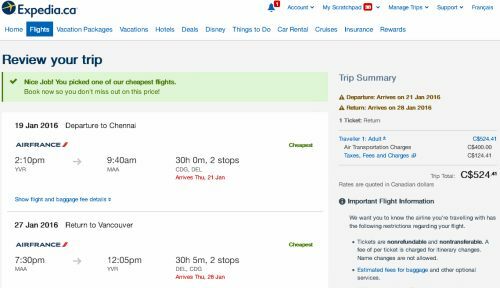 2 Responses to "Vancouver to India - $524 to $619 CAD roundtrip including taxes"
Your website implies that Dubai and Abu Dhabi are cities IN India, which is incorrect. One is in the Middle East while the other is in South Asia. They just happened to drop as well, as a part of the same sale, although the flights to India were the primary focus. I probably should have included a blurb above Dubai and Abu Dhabi, pointing out that they are not in India. That was a bit of a hectic day and it was overlooked.